a lighting solution to fit your unique application. 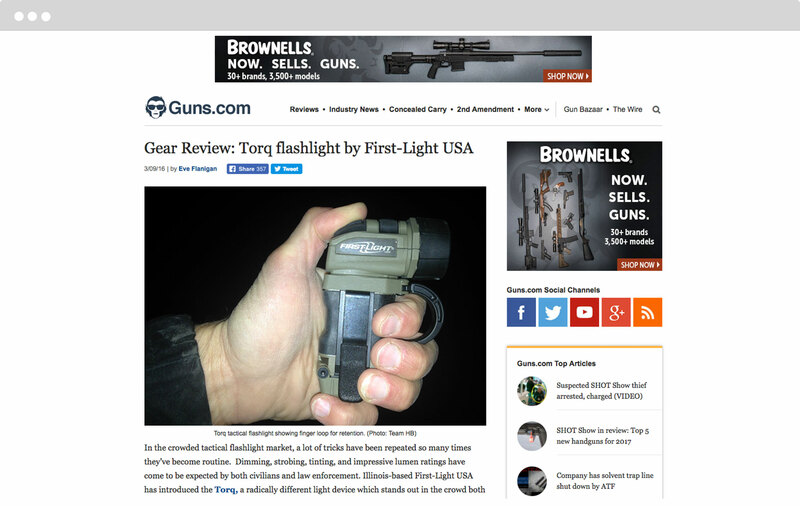 Light at the 2016 SHOT Show, (the Shooting, Hunting and Outdoor Trade Show℠) and Conference for the firearms, ammunition, hunting and shooting accessories industry. SLV PR recommended using the show as a platform to launch the product. Trade show support; press kit development and pre and post show media relations outreach with show media attendees. SLV PR had created and reached out to a broad list of media consisting of national and regional media covering shooting, the outdoors, hunting, gear, firearms and law enforcement. Publications with top circulations and unique monthly visitors were offered product samples.